This triggers something inside of him, causing him to "save" Julie by helping her escape the rest of the zombies feasting on her friends. The more time he spends with Julie, the more he can feel the life coming back to his body. His skin and eyes slowly begin inching towards human shades again, his brain power starts to return, and eventually his heart starts beating and pumping blood again. This is over the course of the film, with a lot more goodies in between. But remember that I mentioned a second kind of zombie, the ones that the other zombies call "boneys"...because, well, that's pretty much all that is left of them. They're beyond the point of return, plus they are vicious and fast. Not only do the humans need to fear them, so do the zombies "light". Eventually R and his friends and Julie and her friends and group of human survivors come together to destroy them. Turns out the saying is true—all you need is love. That's a pretty happy cure for the zombie virus. So, a bit of a light-hearted and fun zombie story. Plus, it's a pretty funny movie. R (played by Nicholas Hoult) has a wicked self-deprecating sense of humor we get to see play out in the voice-overs that are necessary for us to know what he is thinking, since he can't really speak for the majority of the movie. There's not a whole lot of food in the movie, but there is some to mention. There's empty wine and cocktail glasses all around the airport bar that R and his buddy M hang out in most days. We see beans and some other canned food. There's mention of peach schnapps, broccoli, peanuts, and goats. We see risotto, apples, wine, and cream of wheat through brain-munching memories. But my favorite food scene comes when R realizes that Julie needs to eat since she's human. They go searching for food and she's super excited to find a can of fruit cocktail. 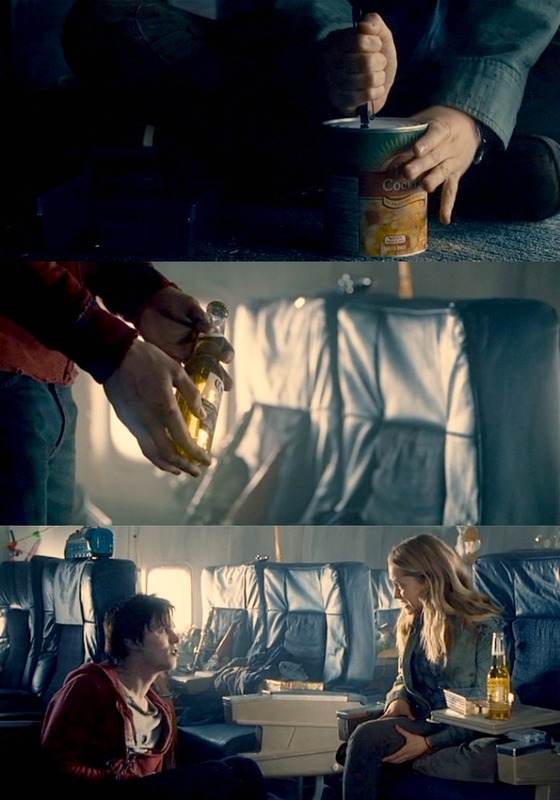 As she opens it and pours it into a plastic container to eat from, R remembers some beer in his house (aka, an airplane), and offers a bottle to Julie. 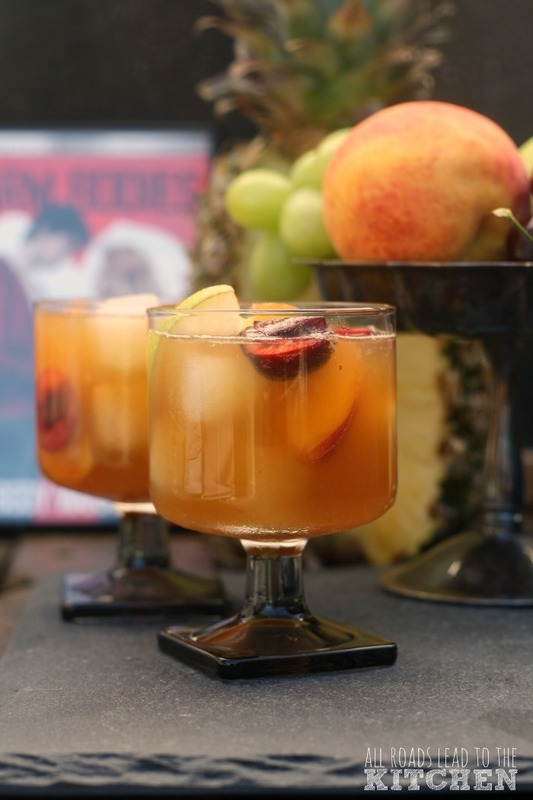 I decided to combine fruit cocktail and beer to make a beer sangria! I used all of the fruit you'd find in canned fruit cocktail...but fresh. It was a Corona in the movie, but I used an amber ale in the sangria, just because I thought it would have better flavor. 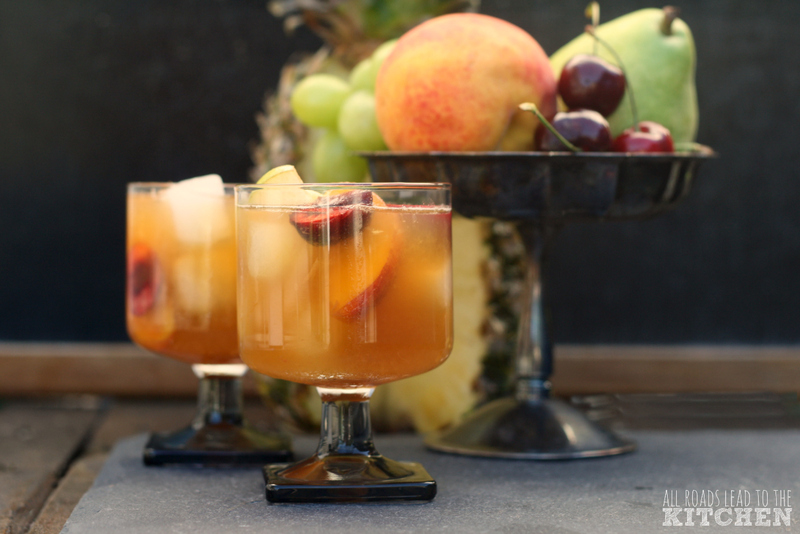 This fresh and fruity beer cocktail is loaded with a fresh-fruit version of fruit cocktail (peaches, pears, grapes, pineapple and cherries). Gently toss all of the fruit together for the fruit cocktail; set aside. Combine all of the liquid ingredients together in a pitcher and stir gently. Divide some of the fruit cocktail evenly among serving glasses and add the rest to the pitcher. 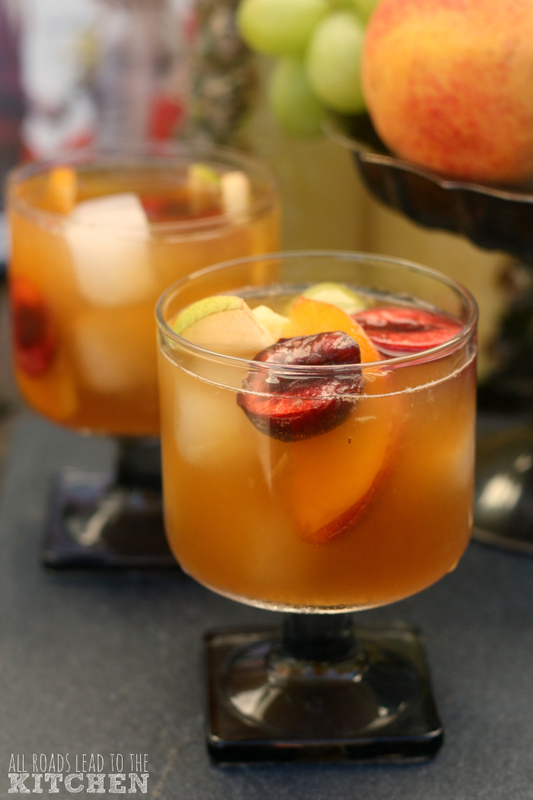 Add a few cubes of ice to each serving glass and pour the beer sangria into the glass. Enjoy immediately.